I absolutely love being a puppy mom. 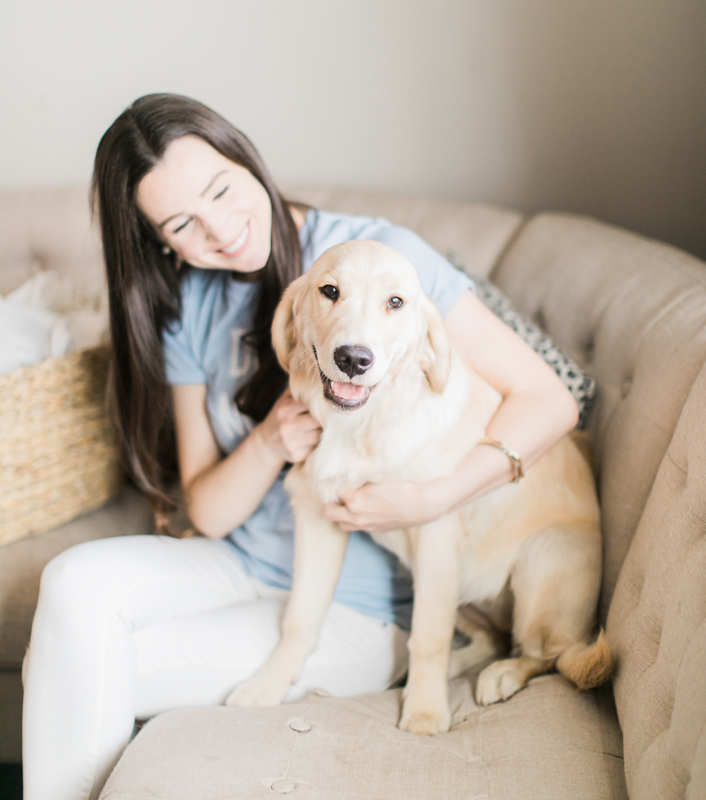 Nala, our five-month-old golden retriever, is the world’s best puppy, and she adds an unbelievable amount of joy to our lives. However, adopting a golden, especially one who loves to swim, comes with a territory. 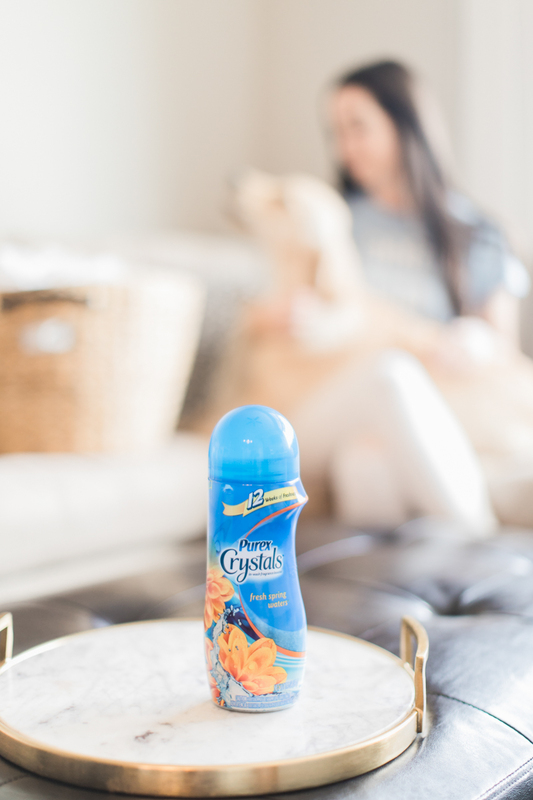 For starters, we definitely smell like dog people. 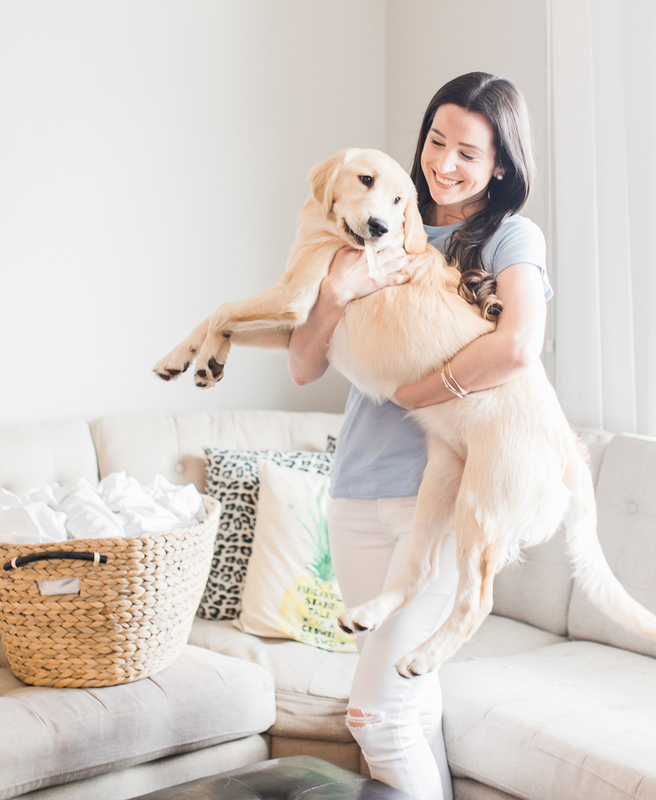 Our clothes, our furniture, and our apartment– it all smells like wet puppy. It’s hard to feel confident in an outfit when you’re unsure if you’re giving off not-so-subtle whiffs of pet odor. 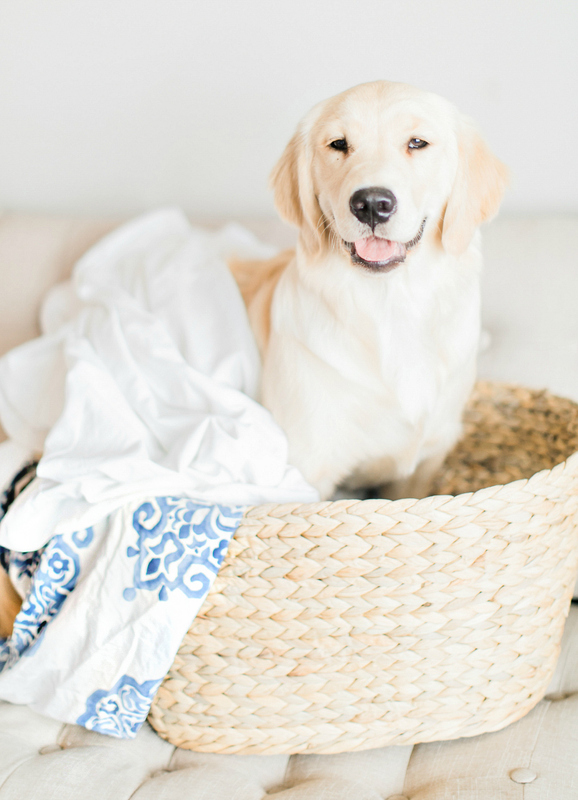 So, to avoid being known as the “dog couple,” I’ve been doing quite a bit of research on the best ways to remove pet odor in laundry, and I finally found an affordable solution that really works! 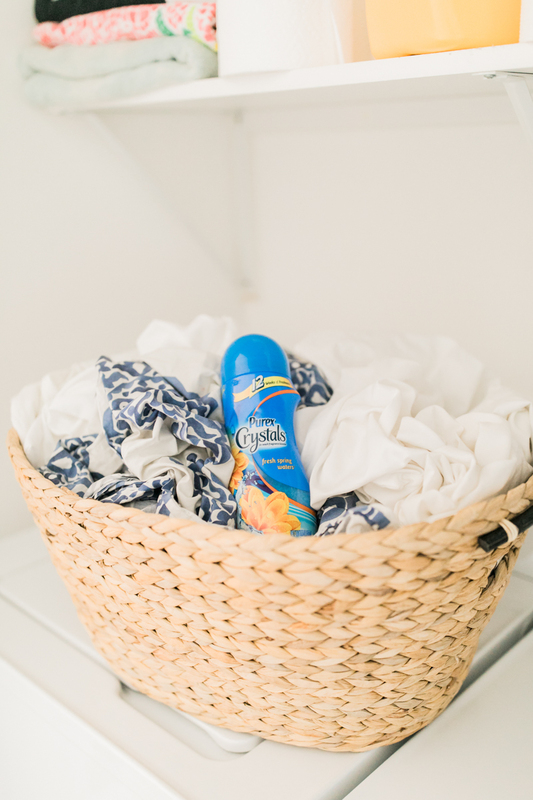 It’s an in-wash fragrance booster called Purex® Crystals™, and it’s a serious game changer. 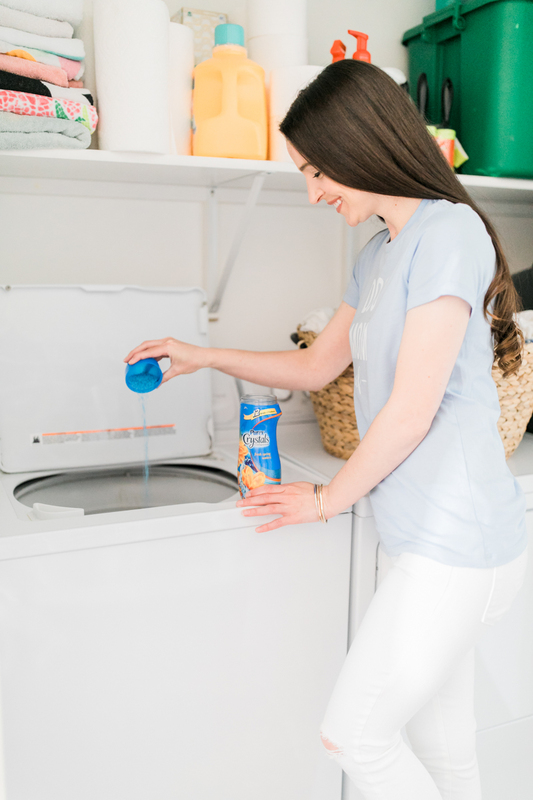 For the past few weeks, I’ve been adding Purex Crystals Fresh Spring Waters directly into our laundry to add a boost of fresh smelling scents (versus carrying around dog odor), and I’m a huge fan! 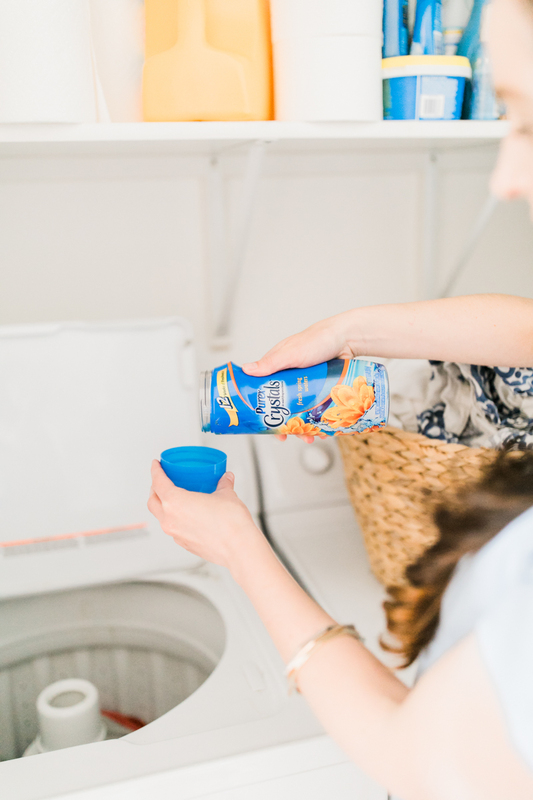 I add as much or as little as I deem necessary, and our laundry stays fresh for up to twelve weeks. 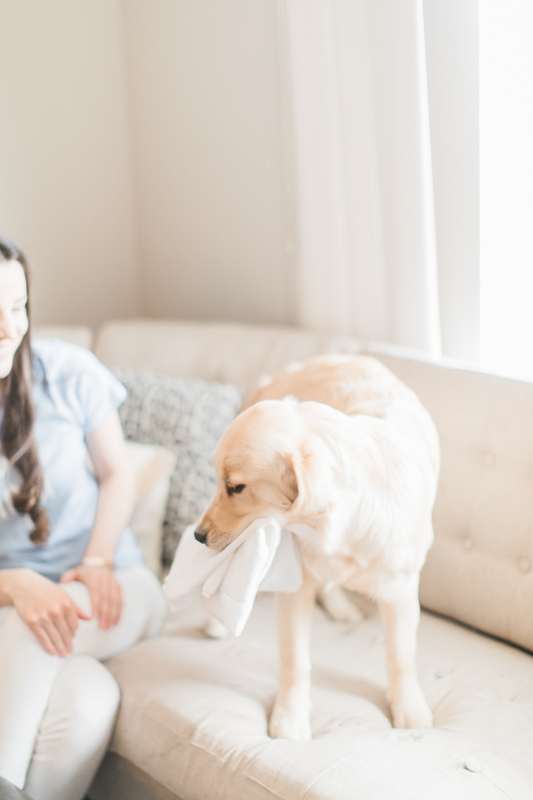 Our clothes, linens, and towels all smell incredibly fresh, and it’s the best feeling, especially now that it’s spring. I’m not kidding, even Nala’s crate blankets smell like heaven. Oh, and it doesn’t hurt that there’s this ibotta offer to sweeten the situation even more! If I had to pick a scent to recommend, it’d be Fresh Spring Waters. The smell reminds me of our time in Maine, and I love it. I also picked up Lavender Blossom and Cherry Blossom & Ginger, which was voted 2018 Product of the Year*, from Walmart, and I’m excited to give them a whirl, too. 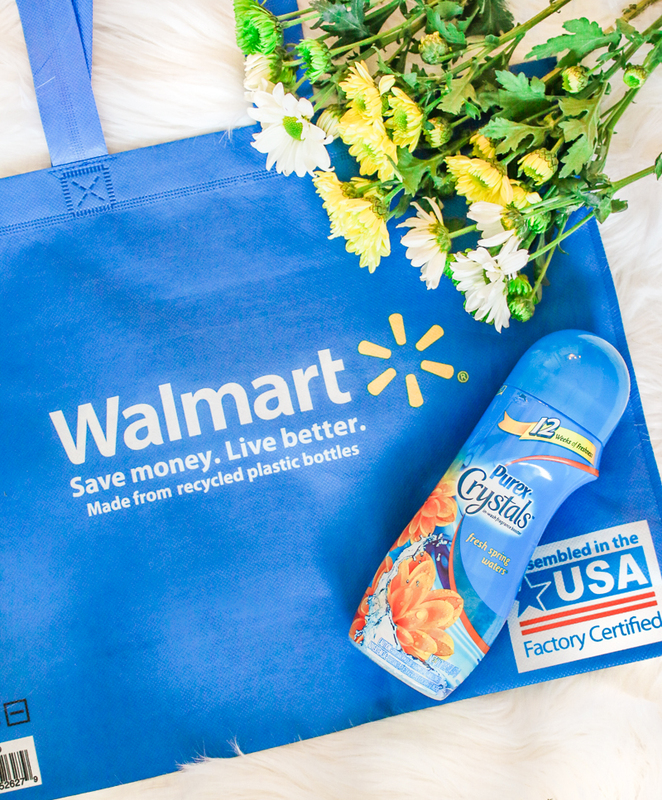 To try them out for yourself, be sure to check out the ibotta offer for Purex Crystals before shopping at your local Walmart! I recommend looking there first, since they carry a bunch of different scents and always have the lowest prices! Honestly, even with Purex Crystals, doing laundry with pets still has its challenges. I think all dog moms can agree with me there. 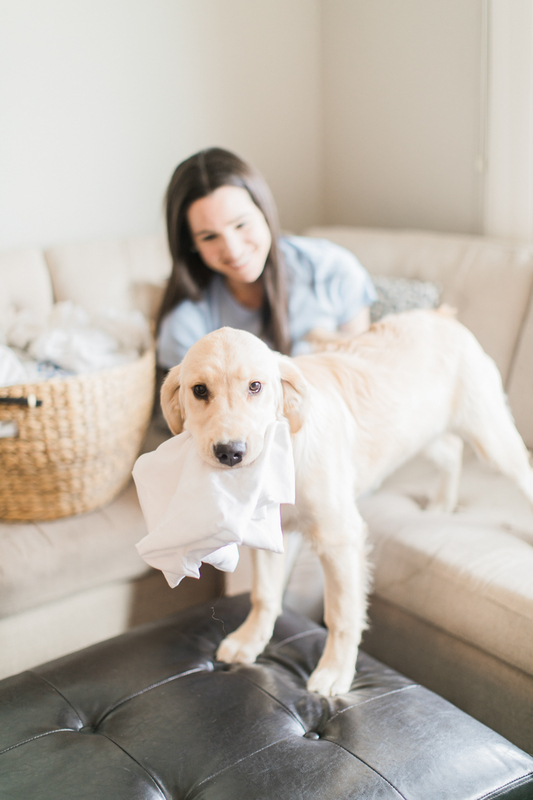 For one, Nala loves being heavily involved with the folding process. She’s also claimed the laundry basket as her fortress. Ugh, is it wrong that I never want her to grow up? I think it goes without saying that life with Nala is certainly never boring. From our weekly hikes to puppy classes, we want to soak up every minute of time we have with her. 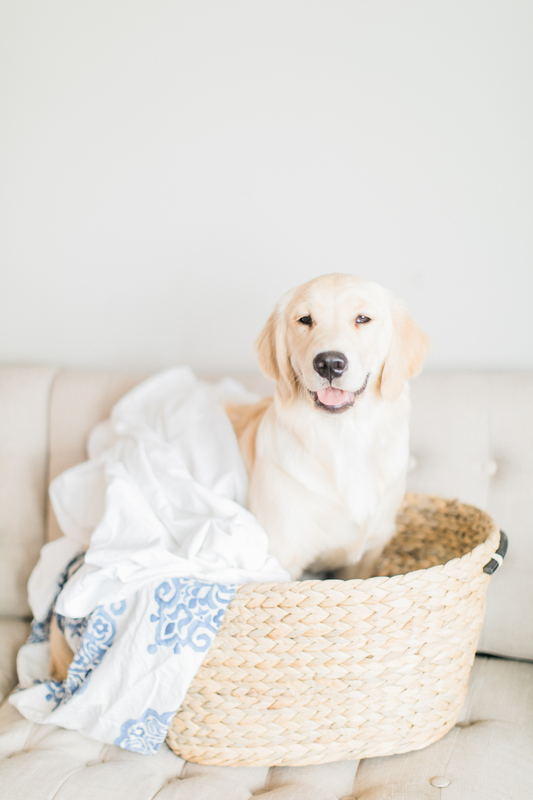 It’s really reassuring to know that if Nala decides to jump in a creek, roll around in the mud, or jump on our bed while soaking wet (three things she does often), there’s a simple solution for freshening up the laundry with scent-boosting Purex Crystals. We can rest assured and just let her be a puppy. 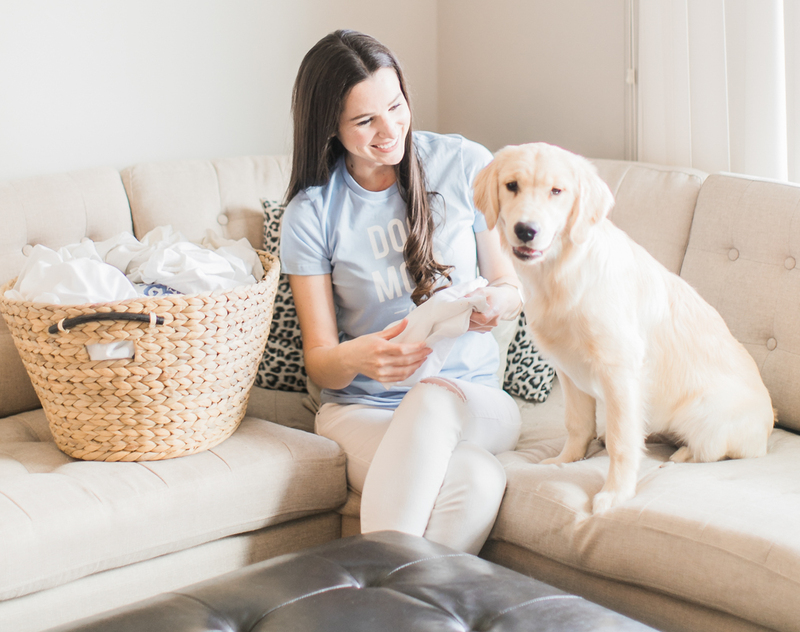 Fellow puppy moms, do you have any laundry hacks for dealing with pet odor? I’d love to know them if you do! 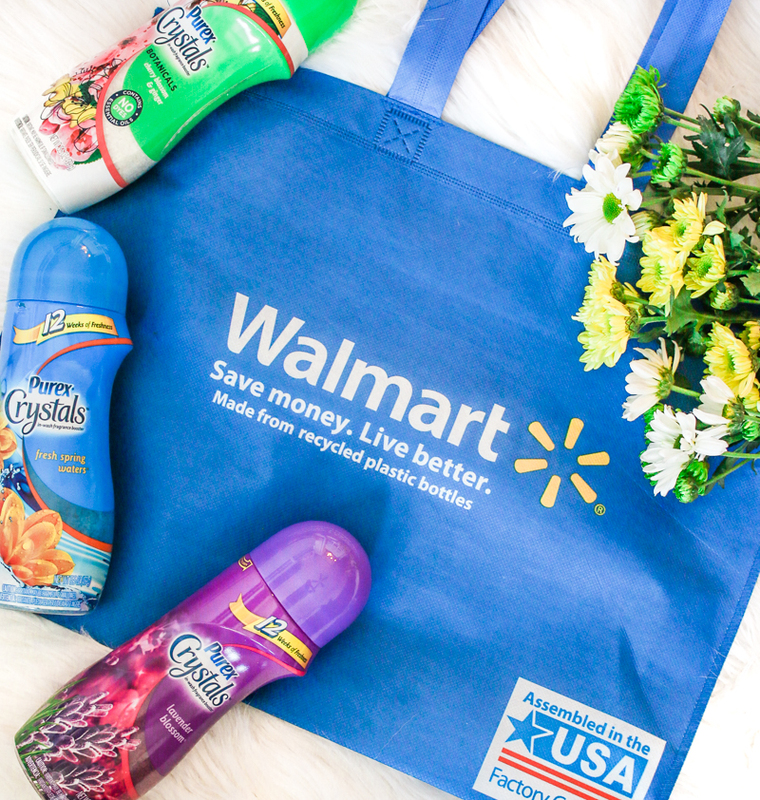 Also, don’t forget to pick up a bottle of Purex Crystals next time you’re in Walmart! You’ll be hooked! *The Purex® Crystals™ Cherry Blossom & Ginger scent was Voted 2018 Product of the Year – Winner of the Fragrance Booster Category. This award was determined through a survey of 40,000 people, performed by Kantar TNS.